Boungiorno! Iligan’s finest and delicious pizza is finally here in Cagayan de Oro as Pizzarella is opening today May 26, 2017 along Corrales Street in-front of The Nest. Pizzarella, the City’s Local Pizza was established in 2012 and people in Iligan City just love the finely crafted pizzas they are serving. They are using fresh ingredients locally, so Pizzarella’s pizza are affordable without compromising the quality. 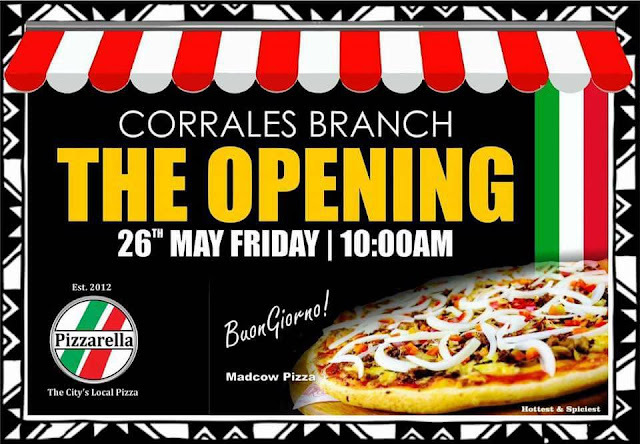 Their pizzas are inspired by Italian and Filipino recipes as well as the owners family kitchen recipes, that means they are not just any other pizza around the metro because once you tasted it, you’ll see the difference, every bite is exquisite and it is really good. Visit them today and try their Madcow Pizza! They have a Pizza for everybody’s taste. Like their Facebook Page or visit http://pizzarellabistro.com for more info.